Register your business for VAT before January 1, 2018. Value-Added Tax or VAT is a tax on the consumption or use of goods and services levied at the point of sale. It is a form of indirect tax and is used in more than 180 countries around the world. VAT will provide the UAE with a new source of income which will be continued to be utilized to provide high-quality public services. It will also help the government move towards its vision of reducing dependence on oil and other hydrocarbons as a source of revenue. As of January 2018, the Federal Tax Authority has started levying VAT in the UAE at 5% on the businesses that meet certain criteria. To avoid incurring any penalties, all businesses that meet such criteria have to be registered with FTA. 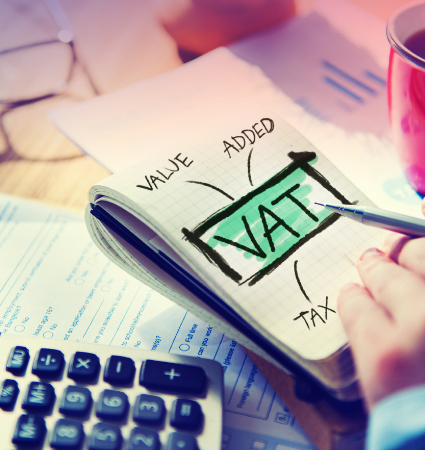 Do you need to register your business for VAT? Do you invoice clients within UAE for goods and/or services? Do you export goods outside the UAE or invoice clients located outside the UAE for your services? Do you receive invoices from suppliers and/or vendors within the UAE for goods your company imports or services your company acquires? If you have answered YES to any of the previous questions and the total amount for all items answered yes is AED 375,000, you will most likely fall under the mandatory threshold to register. Please fill out this form to start the registration process. You will receive a confirmation email to begin registration process within 24 hours. Please note that the email address you supply here will be used to create the E-Services account on your behalf for the purposes of communication with the Federal Tax Authority.